RupeeCircle is India’s one of the fastest growing peer-to-peer lending platform, a popular alternative to traditional loans and investing options. We cut out the middleman to connect people who need money with those who have money to invest. This results in a win-win situation for both investors and borrowers with borrowers getting funded easily and investors earning great returns. 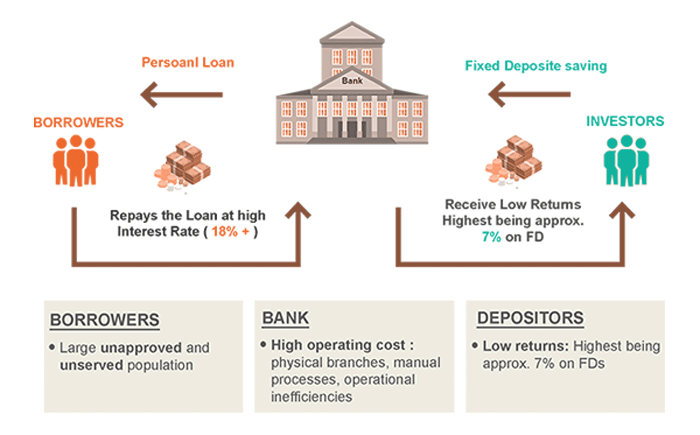 Few selected borrowers get personal loans approved by the banks at high-rigid interest rates structure. Leaving large portions of the credit-worthy borrowers unserved. The traditional banking system inherently suffers from high operating costs such as sky rocketing office space rentals, manual processes and operational inefficiencies, and a large manpower force which add almost 2% - 5% to the cost of borrowing. We resolved to do something about the situation with two missions at heart. The first was to provide access to quality credit for borrowers at attractive interest rates through a simple, tech-enabled experience, and exceptional customer service. The second was to offer a favourable risk-adjusted returns for the investor by enhancing our credit risk management with rigour data science practices and technology-driven lending. Peer-to-peer (P2P) lending is a successful, proven model worldwide offering an alternative to traditional borrowing and investing through banks. 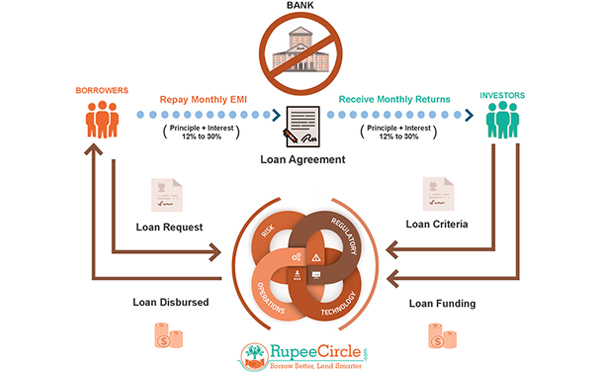 At RupeeCircle, we cut out the middleman (Traditional Banks & Lending Institutions) and use technology to operate an online platform that connects borrowers who need money with investors who have money to invest. 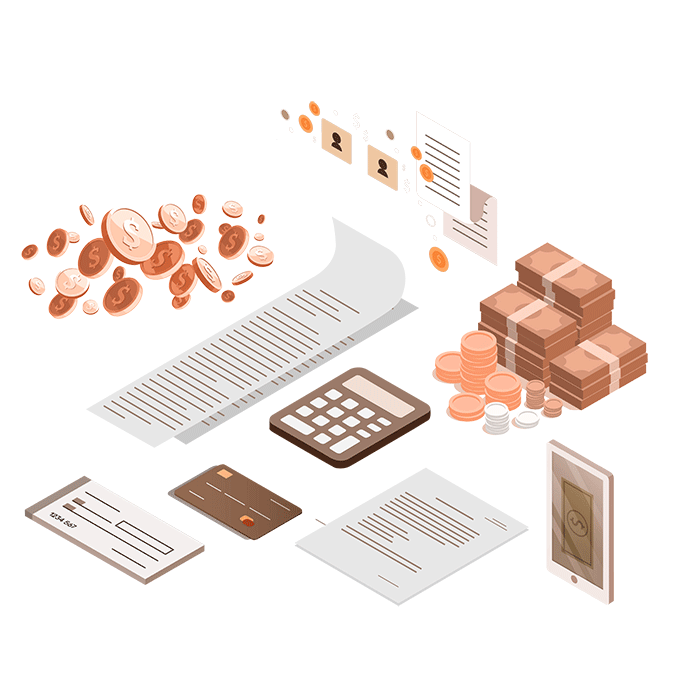 Users interested in a loan can submit an application, while investors can select loans to invest from the market place and earn monthly returns. The entire process is online, hassle-free and transparent. Register as a borrower/investor by providing your basic personal information and fulfilling KYC norms as per the RBI guidelines to create a RupeeCircle account. Our in-house risk assessment team will verify the information provided and validates the account. Upon paying the login fees and account activation, the qualified borrowers can apply for personal or business loans by stating the amount required and the tenure of loans. 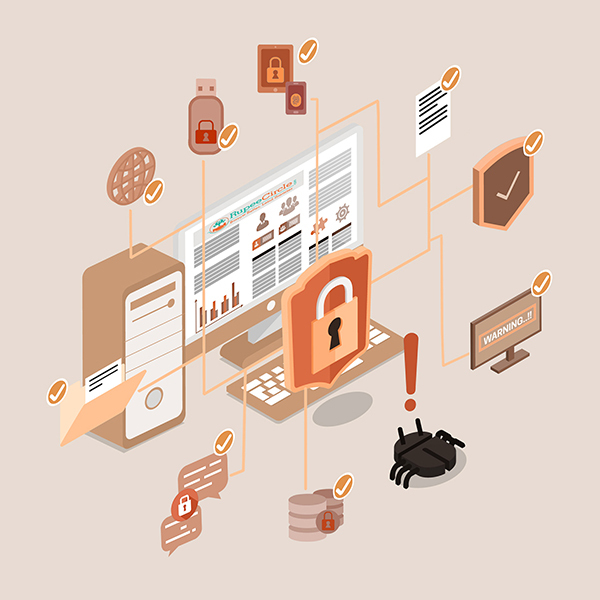 You would have to provide your necessary personal and financial information and upload the required documents. RupeeCircle risk assessment team evaluates and verifies each loan application. 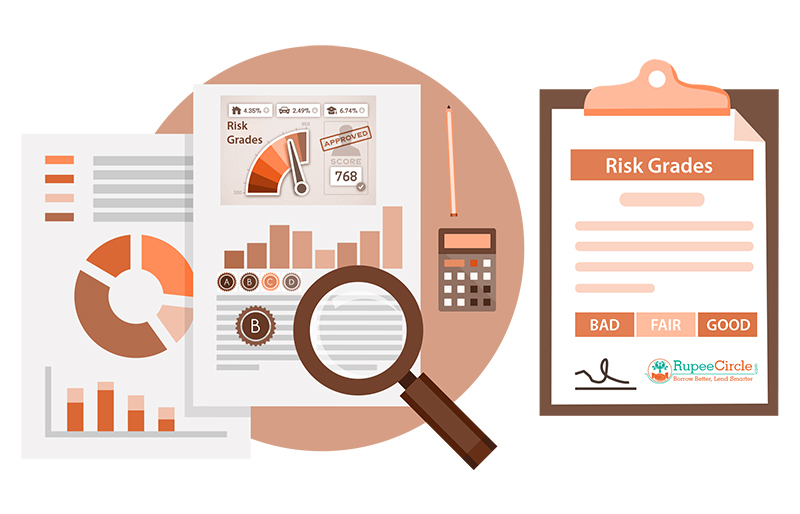 Our proprietary Credit Score model assigns a risk category and interest rate to the loan applicant. Once loan application has been approved and the borrower agrees to the terms, the loan is listed on the RupeeCircle Marketplace for investors to fund the loan. Investors then have 14 days to decide if they would like to invest in the borrower’s loan. Once the investors’ registrations are verified and approved, they can invest and have access to all the current loan listings on the market place from their account and flexibly build up their portfolio as per their financial goals and risk appetite. Investors can invest as little as Rs. 5,000 and can commit funds to single or multiple loans to diversify risk. 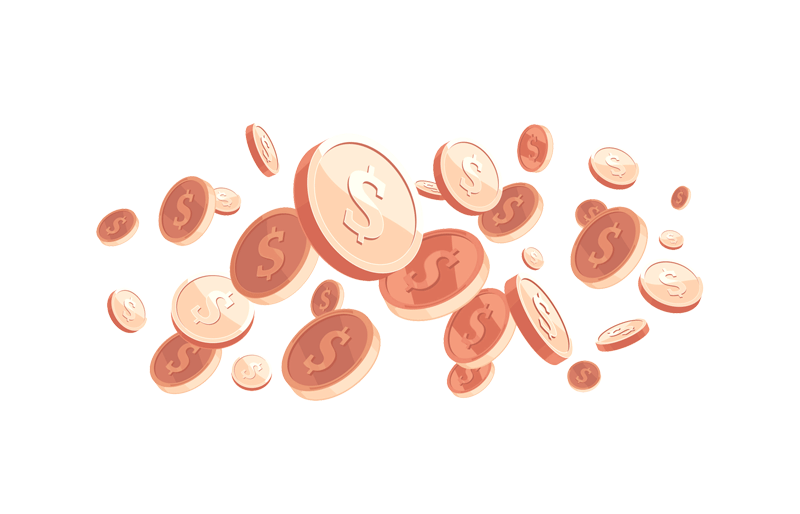 To mitigate risks, a loan is generally funded by multiple investors. Once the loan has been 100% funded by investors, the borrower receives the funds after verification by the RupeeCircle underwriting team and the signing of agreement between the borrower and the investor. Loan amount is then disbursed from the investor’s account into borrower’s bank account. Borrower repays the loan as EMIs which is credited to the investors who funded the loan. Investors receive the automated monthly returns directly into their bank account, also providing an option to reinvest earnings to achieve benefits of compounding. 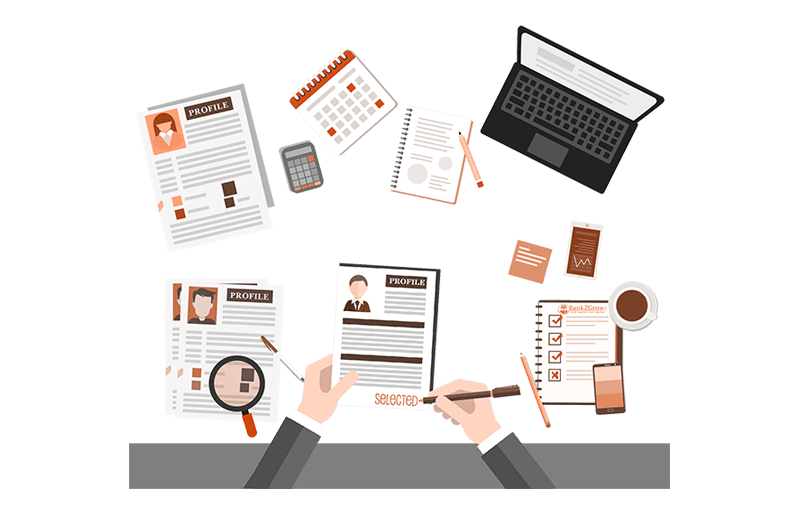 For each and every loan applicant RupeeCircle does the profile verification. 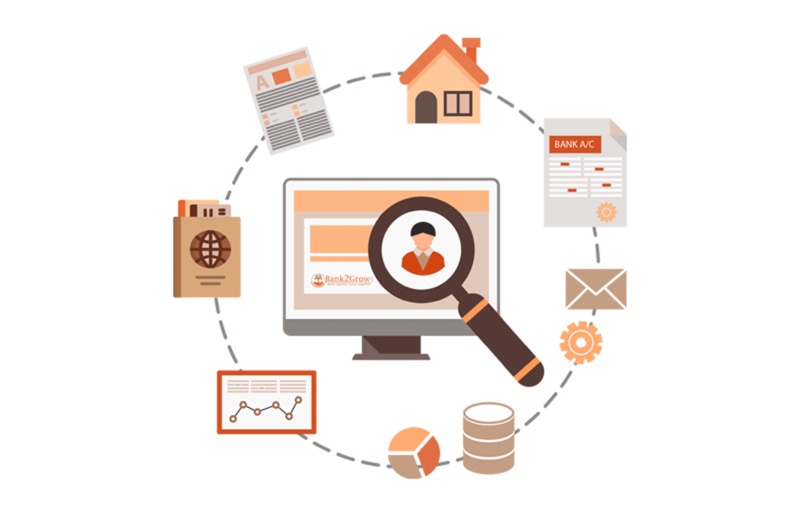 We collect personal, professional and financial data of the borrower and verify these to the best extent possible from all available data sources such as bank statements, credit information bureau, etc. Utmost care is taken to safeguard the interests of both the borrowers and the investors through our stringent verification process. Based on the detailed analysis, RupeeCircle in-house underwriting team assigns a risk category to the borrower (RupeeCircle Risk Grades) from A – F, A being the category with the strongest credit profile and F being the weakest. And provides Interest Rate as per the risk grades along with a Report for each of the loans listed on the RupeeCircle Market place. RupeeCircle also conducts physical verification of the borrowers’ work place and residence to ascertain the veracity of the documents submitted. We also verify the original id proofs such as Pan card and Aadhar card. 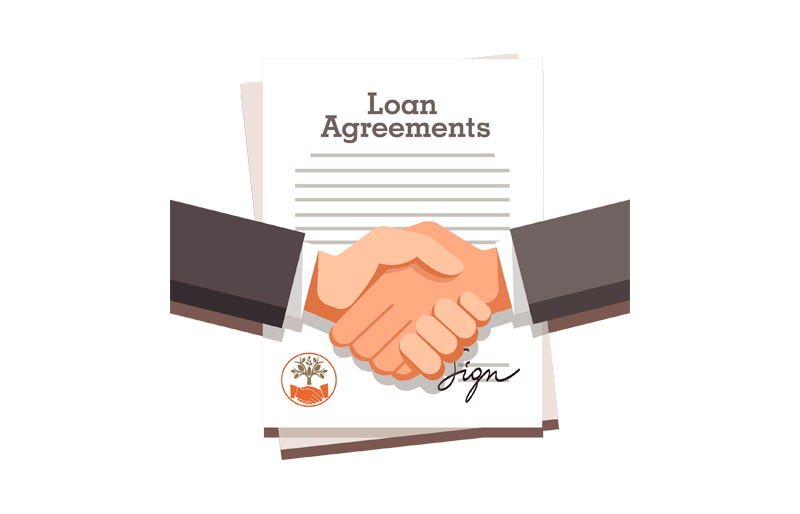 RupeeCircle has drafted detailed loan agreement with utmost care to cover various scenarios along with suitable recourse. It clearly outlines the recourse for all possible events as envisaged by RupeeCircle. The events include delay in repayment, defaults etc. This agreement is signed on a stamp paper to make it legally enforceable. Loans are listed on our ‘Marketplace’ for 14 days for investors to commit funds to the borrower. Once the loan is 100% funded we move to disbursal stage. To complete the disbursal process, RupeeCircle collects the required documents such as signed ECS form, PDCs, signed Loan Agreements etc, and the loan amount is disbursed to the borrower’s account within 48 hrs. RupeeCircle provides detail loan repayment schedule to both the borrowers and the investors for all the loans. This repayment schedule is available on the members’ dashboard for easy and quick reference. RupeeCircle understands the importance of timely repayments, and hence, endeavours to keep full track of the loan repayment schedule and report any delay or default at the earliest. What happens when a borrower defaults on a payment? As we are not fail-safe, there is still a possibility that borrowers may default on a monthly instalment. Although RupeeCircle conducts a thorough risk analysis of the borrower, by which only 5%-10% of all loan applications are approved. However, RupeeCircle is very well prepared to deal with these situations. RupeeCircle uses a proactive collection system to keep defaults to a minimum. Should a borrower fail to pay even after several reminders, the case will be handed over to our collection department. Every collected payment will of course continue to be transferred to Invertor’s bank account. As we try to be as transparent as possible. Beside industry defined process, we will extensively use social media data and other data points to make collection process more efficient. We have prepared this chart explaining the process RupeeCircle follows if a borrower fails to meet the payment deadlines. We proactively start communicating with Borrowers 5 days prior to a repayment being due to ensure repayments are made on time. Over this time period, further attempts will be made by the Collections team to contact the Borrower and arrange for immediate repayment. Notice of adverse credit may also be passed to Credit Bureaus at this point. If no attempt at resolution is made, the case is handed to our outside collection Team. However, at this point the aim is still to retrieve repayment, and the Collections team will continue to work with the delinquent Borrower to reach an amicable solution. If no attempt at reparation is made, the loan will move into a 'Charged Off state, and the case handed over to an outsourced recoveries team. If applicable, RupeeCircle will also begin legal proceedings on behalf of lenders. At this stage the borrower is classified as defaulter. 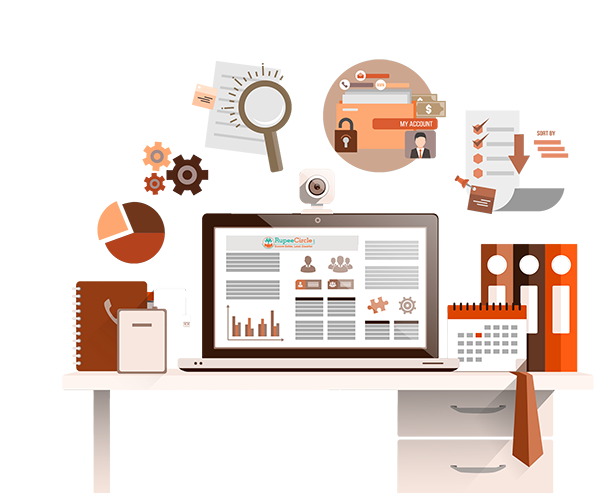 Fund Transfer – Transfer of funds takes place through an online automated process. Loan amount is transferred from the Escrow Account to the borrower’s bank account after loan has been 100% promised by the Investors and Loan agreement has been signed between the borrower and the investors. Repaymentst – RupeeCircle a P2P lending Platform encourages its user to use auto debits for repayments. Every month EMI amount is auto-deducted from the borrower’s bank account to escrow account and then from escrow account to Investor’s Bank Account. EMI collected from the borrower is automatically split and transferred to respective investors’ bank accounts who funded the loan. Repayments can also happen through Bank Cheques, RTGS, NEFT, demand draft and other auto debits. We are proud to share information about our company and our services. 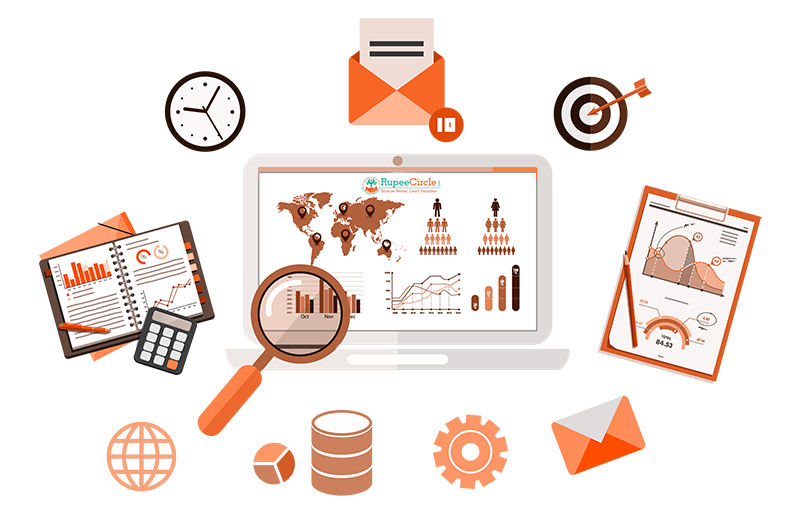 Our website contains background information about RupeeCircle, and our statistics area gives a wealth of information on loan and investor performance. We also offer a downloadable file containing the credit and performance details on all loans eligible for funding by investors.